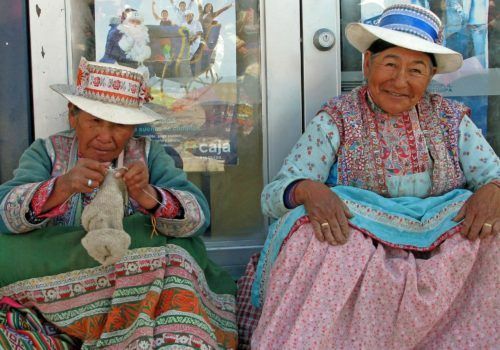 Gay Group Peru Adventure: For thousands of years, Peru’s extraordinary beauty has been both the backdrop of incredible cultural and spiritual expression and a pallet for architectural artists. 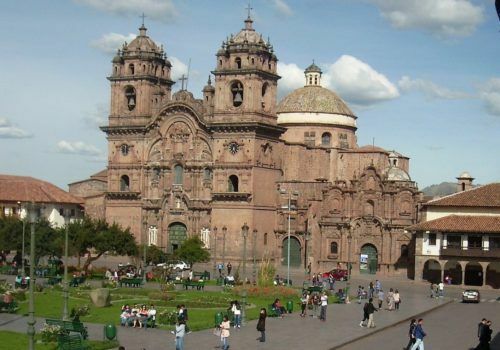 Your journey will take you through the cultural heart of Lima, charming Cusco, and the Valley of the Incas (all world heritage sites). 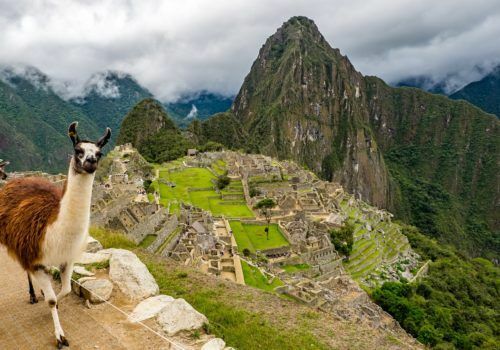 But perhaps what will impress and inspire you most is your visit to one of the world’s most important archaeological sites: the ancient mystical city of Machu Picchu. Many visitors to Machu Picchu report a strange energy they feel, walking among the ruins. Perhaps it’s simply the beauty of the Inca’s mass stone structures set atop high mountains over the winding Urubamba River below. Or, perhaps it is the leftover blessings of an ancient Inca Priest. Whatever it may be, nothing can truly prepare oneself for the “magic” of Machu Picchu. 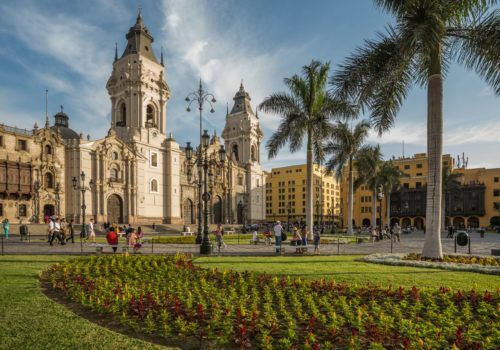 Morning: We depart for a tour of the Historic Center of Lima, the City of Kings, including a visit to the main city square, the Cathedral, Plaza de Armas, the ancient catacombs and Santo Domingo Convent. Lima’s magnificent colonial architecture led UNESCO to declare the Historic Center of Lima a World Heritage Site. Lima once ranked as the richest and most important city in the Americas and was considered to be the most beautiful colonial settlement in the region. Afternoon: We proceed to the famous outdoor market of Pisac and its ruins, a huge fortress on the Inca Trail. Morning: After breakfast, we will visit Maras, which is the name of a place and of an indigenous community. The soil of Maras is rich in salt, and its people have always made a living by extracting this resource using terraced salt pools. The salt pans are a magical sight, gleaming white in the sun. Lunch: Today’s lunch will be unforgettable. At noon we will arrive at a hacienda, located on high ground in the valley which provides a unique view of this green and fertile land. The family of the estate waits with a buffet lunch based on the valley’s culinary traditions. Morning: Enjoy a morning excursion to Ollantaytambo, and visit the archaeological remains and its typical market. Ollantaytambo contains a fortress built to defend it against the invading Chankas. Afternoon: You will arrive early enough to be able to enjoy the stunning UNESCO World Heritage Site before the masses arrive. Our expert guide will explain all the pertinent aspects of this magical citadel, an awe-inspiring experience. Following the visit, we retire for afternoon tea at the Orient-Express Sanctuary Lodge overlooking Machu Picchu. Evening: Relax in one of the world’s most appealing boutique hotels. Late Afternoon: Departure for Cusco on the Hiram Bingham Orient-Express train where cocktails and a gourmet dinner will be served. Relax and enjoy a cocktail accompanied by the sounds of a guitar trio, before retreating to the dining car for a specially prepared gourmet Thanksgiving dinner as you glide along the Andes Mountains and Urubamba Valley. Upon arrival just outside Cusco, in Poroy, private transfer to our stunning hotel. Morning: Roam the older quarters of the city. We will Pass by the Hatunrumiyoc Street with its famous twelve angle stone and visit the impressive Cathedral at the Plaza de Armas. We also visit Koricancha, the most important Inca temple, dedicated to the worship of the sun. The Spanish built a church and Dominican monastery on top of this temple, which reveals the two cultures existing together.